A Spanish producer has began selling a “light” range of avocados — which it claims contain 30% less fat than the typical avocados. Spanish company, Eurobanan has developed this new variety of avocado under its Isla Bonita brand, and aside from the lower fat content, claims that it also features a milder flavour and juicier, lighter pulp; ripens faster; oxidises slower and is available nearly year-round, according to Fortune. “Avocado Light” was the result of analyzing 32 different varieties in six countries, the Madrid-based company said, and only a few passed the test. The new avocado, which is grown in Central and South America, is only available in Spain now. “We have been importing avocados for decades. In all this time, many customers and consumers who are passionate about this fruit have regretted not being able to incorporate it more often into their diet,” Ramón Rey, director of international marketing for Isla Bonita, told Fresh Plaza. Given today’s avocado craze, it’s not surprising that a produce company would develop a variety perceived as more healthy for fat-conscious consumers and marketed as ideal for making smoothies, cold soup and cocktails. Avocado supplies are down and prices are up, yet the appeal of the trendy superfood shows no sign of abating. Popularity of the fatty green fruit is at an all-time high, resulting in record consumption — and prices. A diminished California crop has increased imports. The average weekly US avocado consumption of 42-million pounds has nearly doubled in the past three years and is projected to hit 50-million pounds per week in 2019. Avocados star in an increasing array of trendy foods — guacamole, oil, ice cream, salads and avocado toast. They also play supporting roles in cosmetic uses such as lotions, facial masks and hair conditioners. Their demand stems from this versatility but also from astute marketing that has gradually positioned the avocado as the modern and healthy food to serve. Health benefits stem from a high level of monounsaturated fat, plus significant amounts of potassium, fibre, folate and other vitamins and minerals. 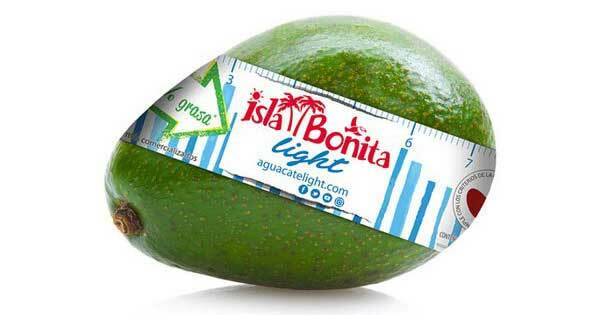 Isla Bonita touts its Avocado Light as having a seal from the Spanish Heart Foundation as a product with reduced fat content. But do today’s consumers want an avocado with less monounsaturated fat? In the ’80s, consumers closely counted fat grams in their food. Today, it’s widely recognised that some fats, especially those naturally occurring in nuts, avocado and fish, are actually beneficial to health. Researchers have long known that a “Mediterranean diet,” which includes a lot of these naturally occurring monounsaturated fats, actually reduces the incidence of heart disease. Several dietitians wonder why anyone would want a low-fat avocado, since the nutritional value — not to mention taste — of the traditional variety is superior.